When I went fabric shopping for my bias dress muslin, I may have purchased a little too much of this particular bird fabric. It has a lovely, light-weight feel and drape, but it is still 100% polyester. I find it easier to overlook the poly-factor when filling my childrens’ wardrobes. 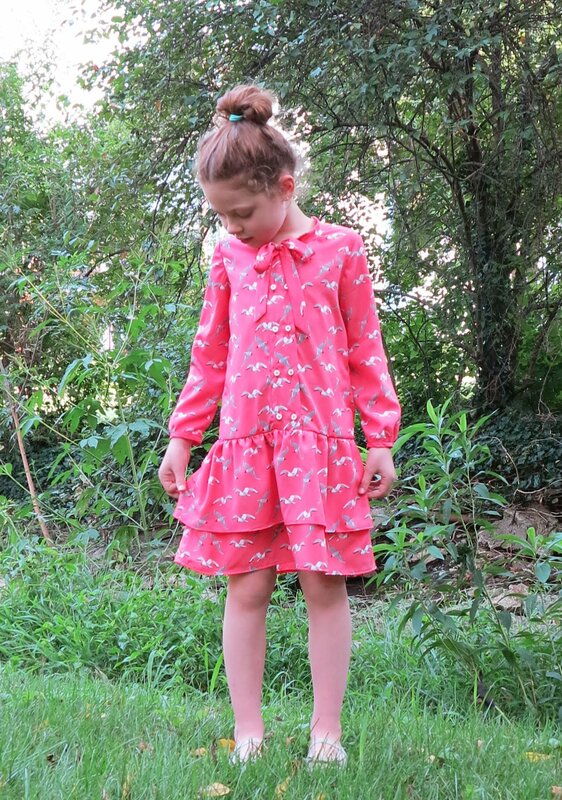 Miss Seven was the recipient of this Apple Picking Dress by Oliver + S. There are quite a few details in this pattern that require a little extra care, but nothing is particularly complicated. 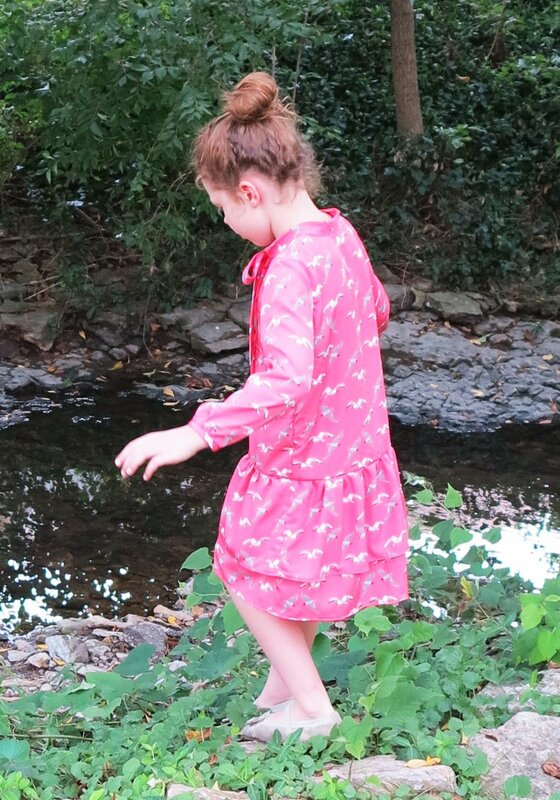 In fact, the only thing that made this dress difficult was my choice of slippery, press-resistant polyester. Pure cotton or silk would sew up like a dream. I really like the double, front button placket and collar/tie. I also love the loose bodice and drop waist shape. My front placket is far from perfect. I didn’t match my interfacing well enough to the fabric and buttonholes. There’s some puckering on the buttonholes which I find very annoying. I should have gone a little sturdier on the stabilising. Maybe it also would have helped if I’d lowered the stitch tension. 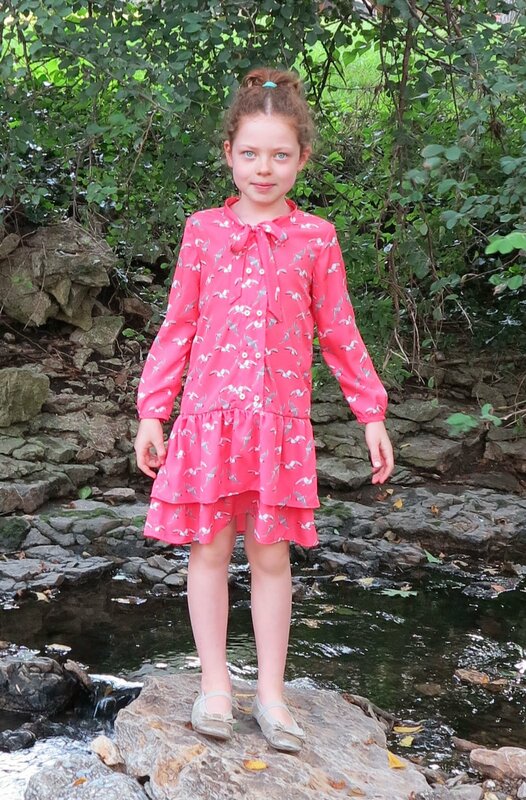 A size 7 in this pattern fits Miss Seven very well. The shoulder width and arm length looks good to me. 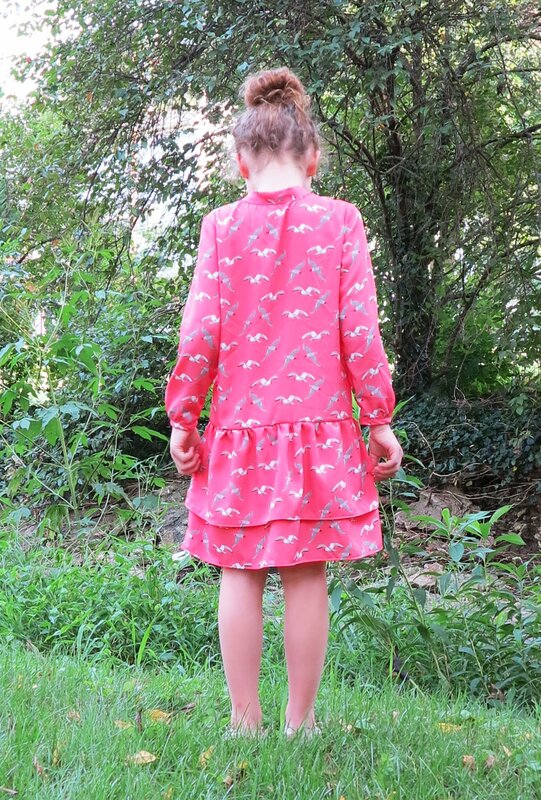 I sewed the full length arms and they are probably designed to sit a little longer, but this length is very practical for a child. I’m not sure why the front placket is pulling up when the dress is worn. It could be that I tied the collar a little too tight. It could also be due to the way she is standing (with her shoulders back and arched slightly). I’ll definitely sew this pattern again. My choice of fabric works beautifully with this style of dress. It’s a design that would also sew up exceptionally well in silk for a special occasion. 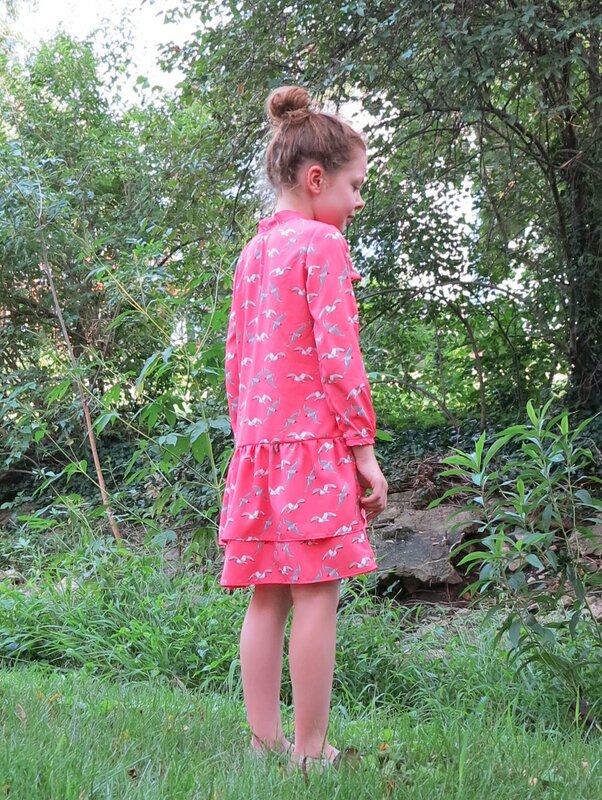 This entry was posted in drape, dress, drop waist, flounce, Oliver + S, plackets, polyester and tagged Apple Picking dress, birds, buttons, dress, drop waist, Oliver + S, polyester on August 27, 2015 by Debbie Iles. The birthday shirt is coming along pretty well, although I am going to reserve my judgement on this project until the very end. I made a modification to the front placket, switching it to the inside so I could use a floral contrast instead of self-fabric. 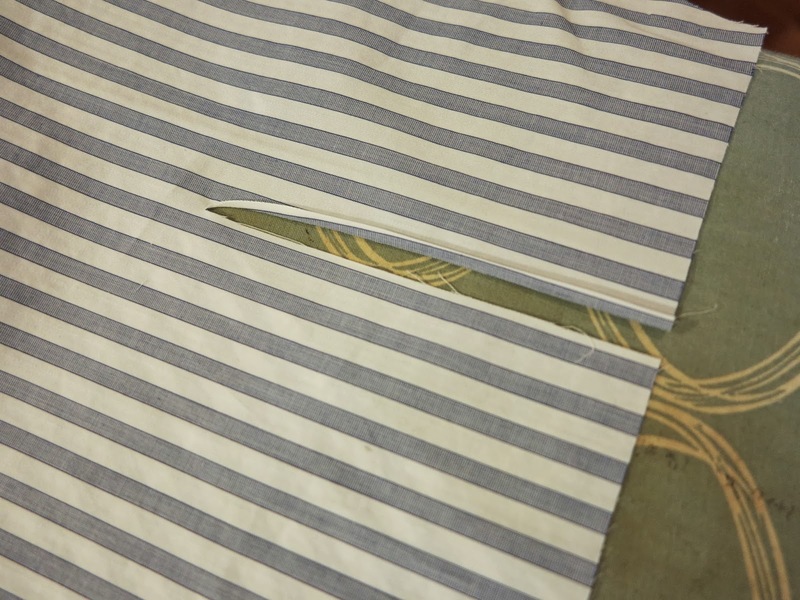 But, I now realise that the width of my modified placket won’t match perfectly with the other front side. At the moment, I am still hopeful that this mistake won’t be too noticeable (at least by hubby). What has worked out nicely so far is the cuff plackets. 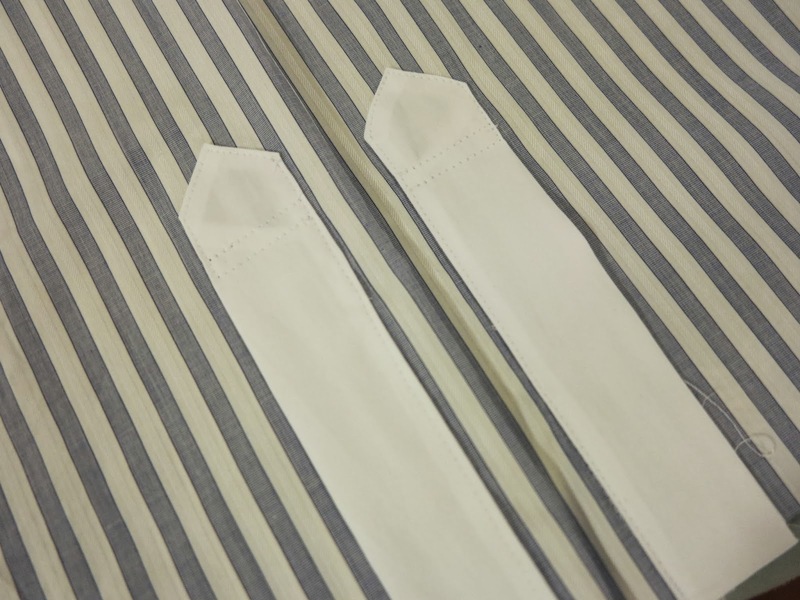 I am using a nice white shirting to contrast with the stripes for the collar and cuffs. 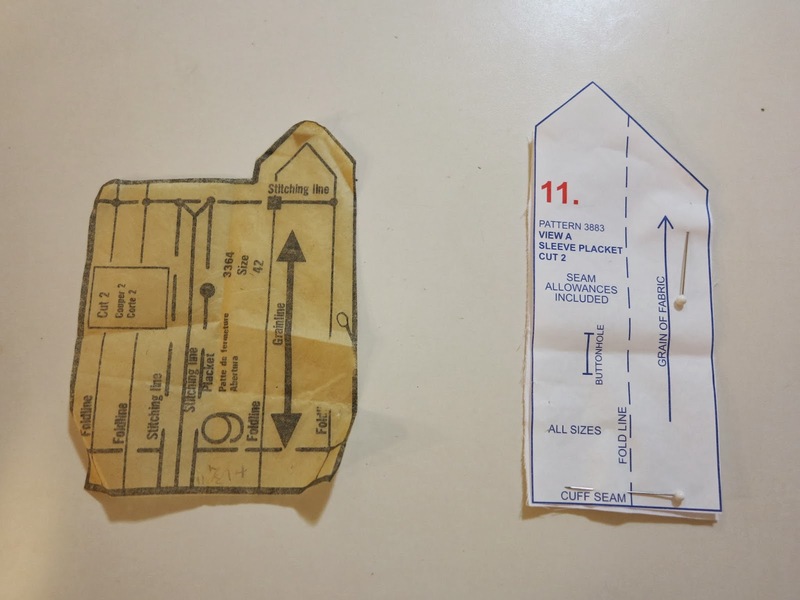 And check out the difference between the cuff plackets in this pattern compared to the vintage shirt pattern I had been using before. The vintage piece is on the left. 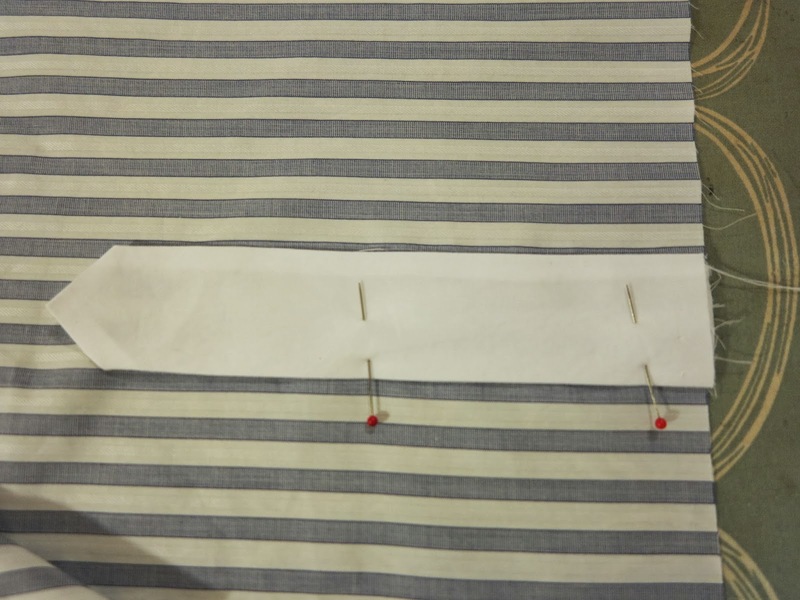 So, to make the cuff placket, I first made a slit, then stitched a narrow hem on one side of the slit, before stitching the placket piece to the other side. I then folded it through to the right side (folding all the raw edges under neatly with the use of my iron), and stitched around the edges. Super simple and not fiddly at all. I know the inside doesn’t look as professional (to me anyway! ), but how can I not be happy with these results on the outside! 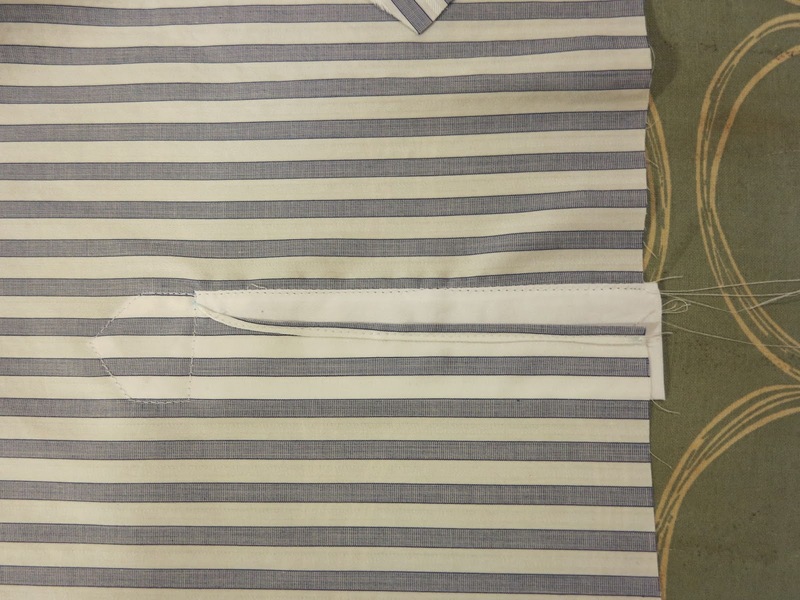 This entry was posted in cuffs, Kwik sew 3883, men's shirt, plackets, stripes on October 3, 2013 by Debbie Iles.